The purpose of the EU Timber Regulation (EUTR) is to ban from the European market wood products or associated products derived from illegal harvesting – notably pulp and paper. This does not concern recycled or printed products, like books, magazines and newspapers. As both a producer and a distributor, Antalis is fully committed to sustainable forest management and responsible wood fibre supply, and is taking every possible measure to guarantee that its stakeholders fully comply with this regulation. Antalis is mindful of its environmental responsability. 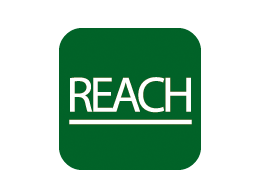 As you may know, the European Regulation 1907/2006 regarding the Recording, Evaluation, Authorization and Restriction of Hazardous substances (REACH) came into effect on June 1st 2007. Compliance involves several stages, and the regulatory requirements vary according to the nature of the products and the quantity introduced onto the European market. Antalis, as a distributor, does not have any pre-registration or registration obligation under REACH. Antalis does, of course, work closely with its suppliers to ensure that they, along with their own suppliers, complete the necessary formalities regarding the chemical substances they use, and will continue to do so in the future, including the last version of the list of substances. On the basis of our current knowledge and the specific information provided by our suppliers, only a very small group of products in the Antalis range contain such substances. The list of these products and all the necessary details are available on demand and are updated upon receipt of new information from suppliers. Our sales teams are available to answer any questions you might have on this topic. *Substances of very high concern (SVHC) regarding to REACH (Annex XIV): Carcinogens, mutagens or toxic to reproduction (CRM category 1 or 2), persistent, bio accumulative and toxic (PBT) or very persistent and very bio accumulative (vPvB) or for which there is evidence for similar concern. Official text from the EU: click here.